In August of this year (2018), Ron and Dorothy Easterday and Ron's sister Karen Parsons, after considerable email correspondence concerning their Easterday and associated families that once lived in our local area, arrived on a visit from their home in Washington State. They were looking at our coverlet collection for possible clues re. the weaver of their Catherine Myers Garnhart coverlet. (More about that coverlet later.) They enjoyed our museum and especially took note of our Magic Lantern. Imagine our surprise when they later presented us with 10 lantern slides! 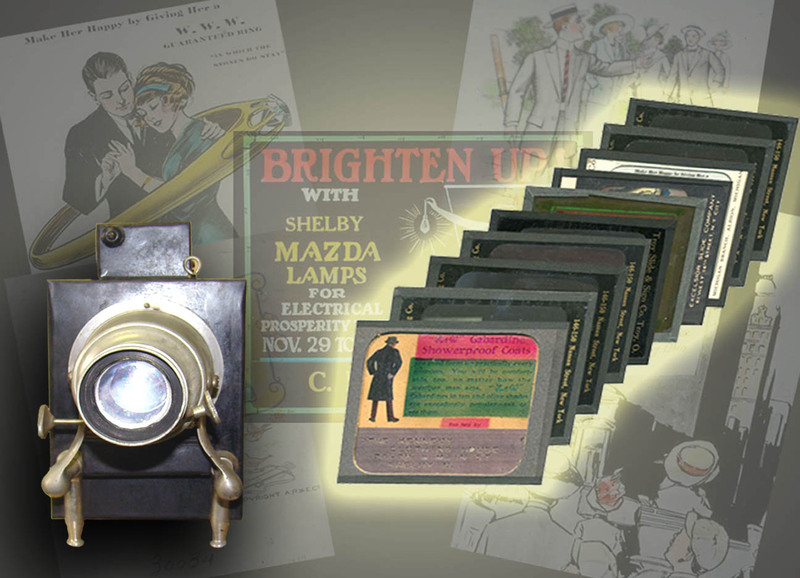 In this article we'll describe those slides as well as our Magic Lantern. Thank you Ron, Dorothy and Karen for donating this gift of previously undiscovered Shelby history! Copyright 2018 - 2019 The Shelby Museum of History, Inc.